At All Things Boudoir, as a practice we do not discriminate against anyone for any reason. We do support our contractors' right to refuse service to anyone for safety concerns. I fully recognize the risks to which I may be exposed by being photographed by All Things Boudoir during an on location shoot, including but not limited to slipping on the floor, tripping over a cord, hitting an overhead lighting system, forgetting or losing property. With full understanding of the risks involved and despite this release, I am voluntarily being photographed by the company. 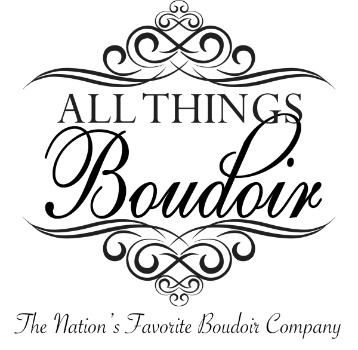 As a customer of All Things Boudoir, I am responsible for myself, my belongings, and my companions and can not hold All Things Boudoir responsible for any reason. All Things Boudoir does not photograph anyone under the age of 18, and does not allow anyone to be present who is under the age of 18. I acknowledge this fact and agree to being over the ago of 18. If someone is in the room that is under the age of 18 I do not hold All Things Boudoir liable for any injury or harm caused during or after the photo shoot. I understand that under copyright law, photos taken are owned by All Things Boudoir. If photos are un-purchased I may not use them in any way. If photos are purchased, the company grants personal use only. Any other use including but not limited to commercial use, sale or gift to another company or photographer are not acceptable. All Things Boudoir will only use images of you with consent.